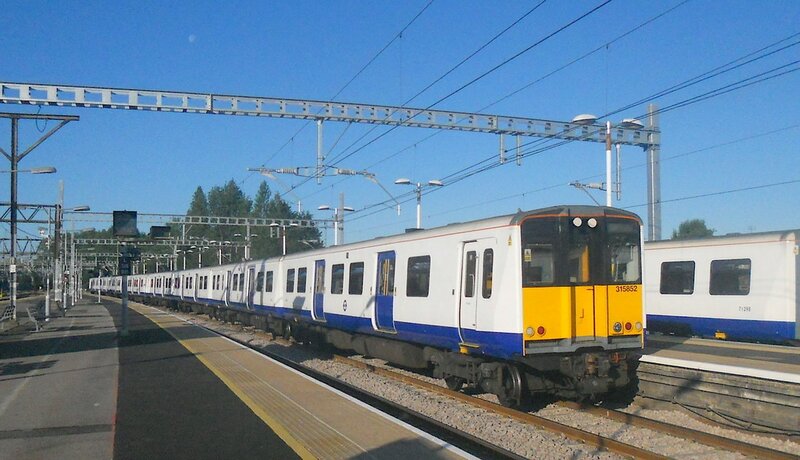 TfL Rail Class 315 No. 315842 at Shenfield. (c) Peter Skuce. 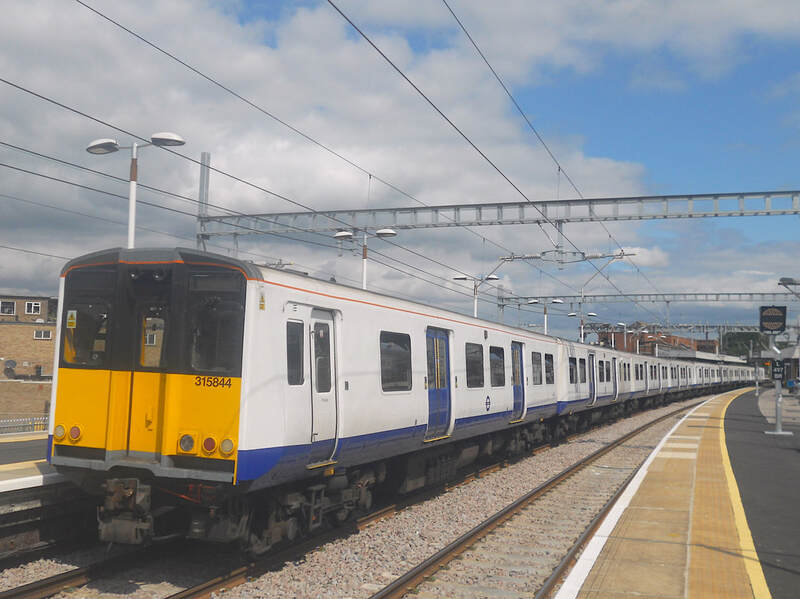 TfL Rail Class 315 No. 315824 at Romford. (c) Peter Skuce. 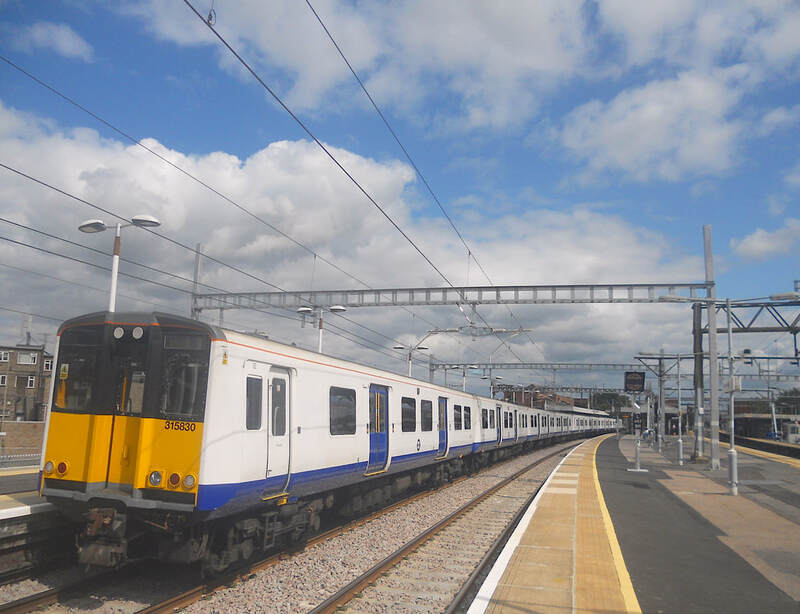 TfL Rail Class 315 No. 315852 at Shenfield. (c) Peter Skuce. 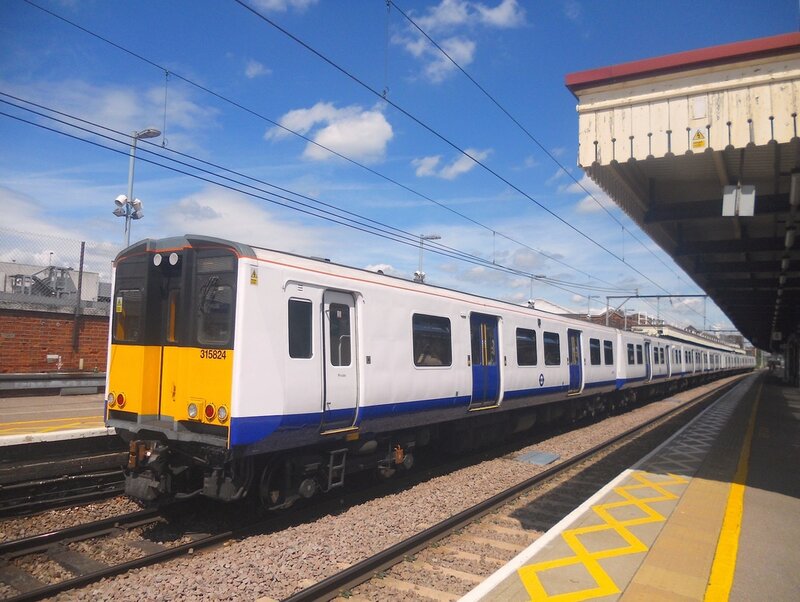 TfL Rail Class 315 No. 315834 at Shenfield. (c) Peter Skuce. Class 315 No. 315830 at Shenfield. (c) Peter Skuce. Class 315 No. 315844 at Shenfield. (c) Peter Skuce. 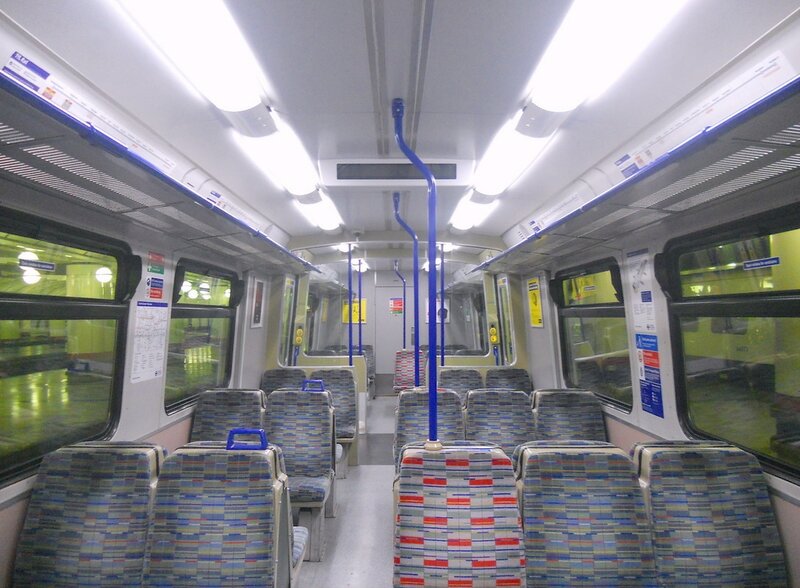 The interior of the refreshed TSO vehicle. (c) Peter Skuce. 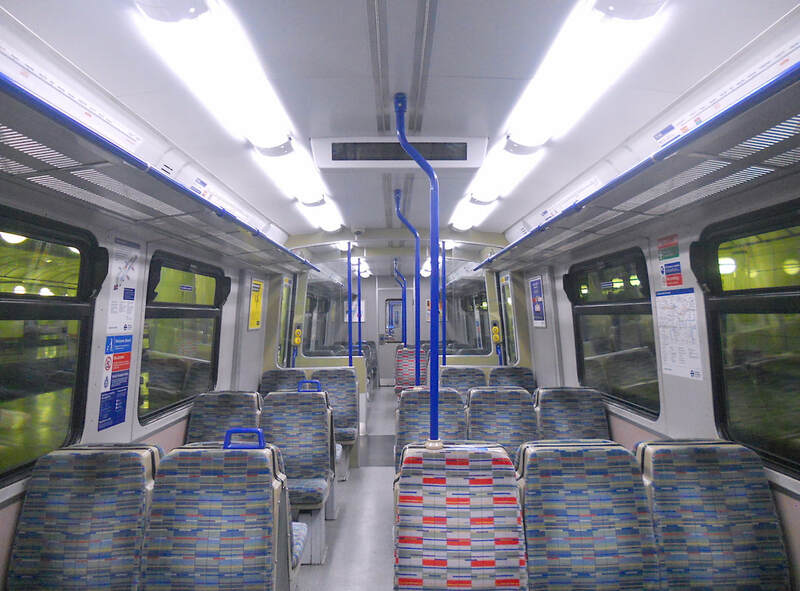 The interior of the refreshed DMSO vehicle. (c) Peter Skuce. 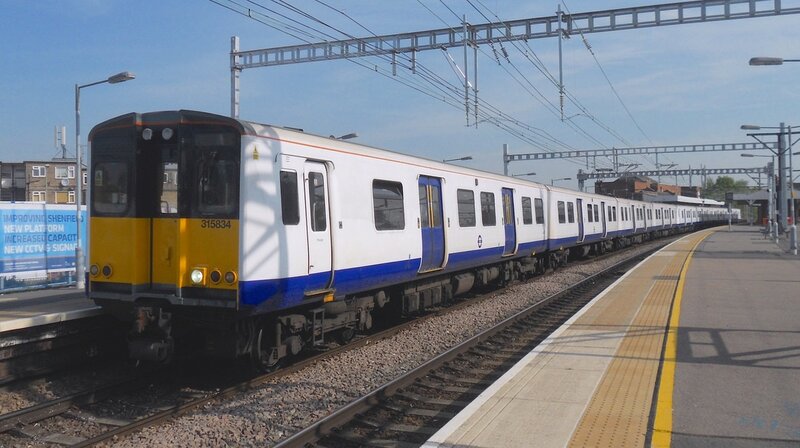 TfL Rail have forty four Class 315 EMU trains, No 315818 - 315861 and these are shortly to be replaced by sixty six brand new Bombardier Class 345 Aventra EMU trains for the Crossrail 'The Elizabeth Line'. Great Eastern Class 321/3 No. 321359 at Norwich. (c) Peter Skuce. Great Eastern Class 321/3 No. 321311 at London Liverpool Street. (c) Peter Skuce. Great Eastern Class 321/3 No. 321358 departing Wivenhoe. (c) Peter Skuce. 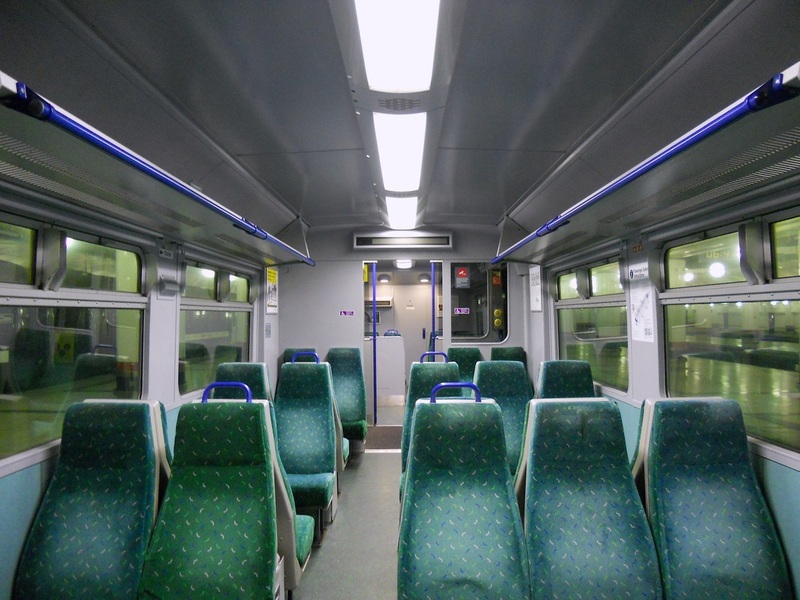 The interior of refurbished Standard Class area in the DTSO vehicle. (c) Peter Skuce. 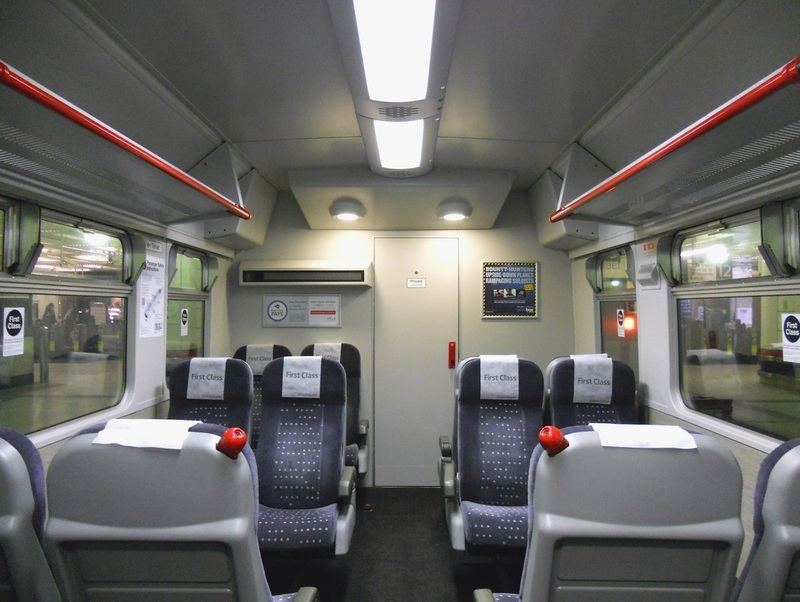 The interior of refurbished Standard Class area in the TSO vehicle. (c) Peter Skuce. 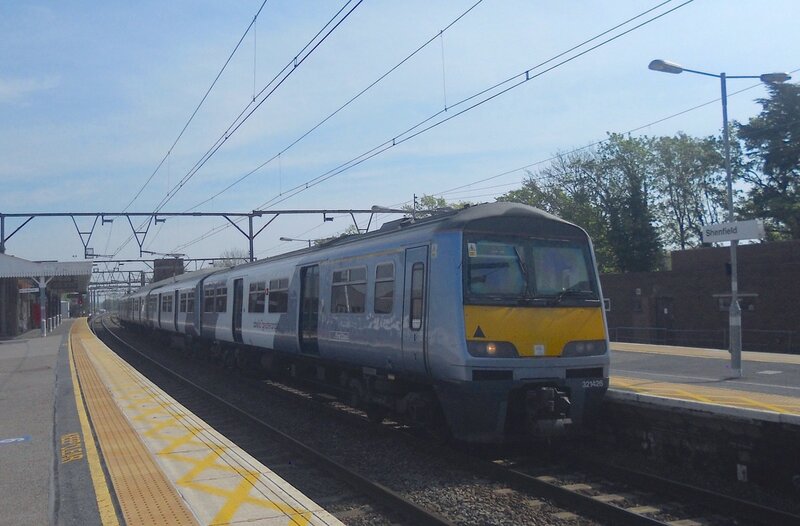 Former Silverlink/London Midland Class 321/4 EMU trains that were cascaded/transferred to Greater Anglia. 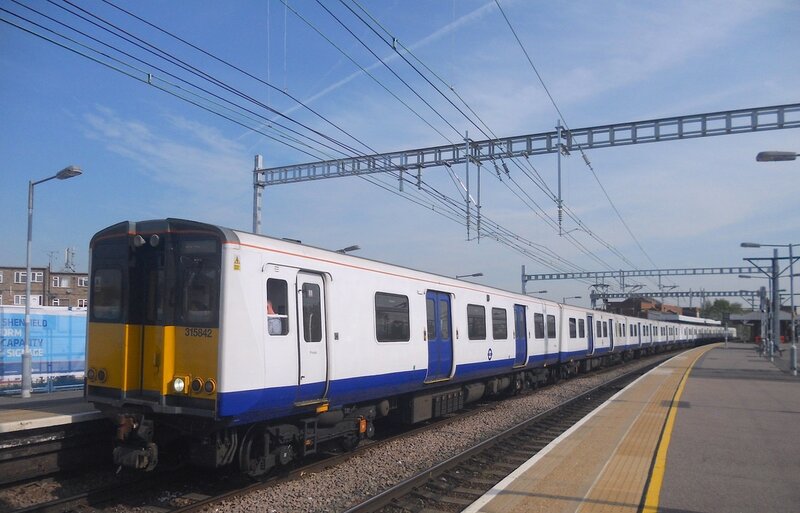 There was a total of seventeen Class 321/4 EMU trains that were cascaded/transferred. 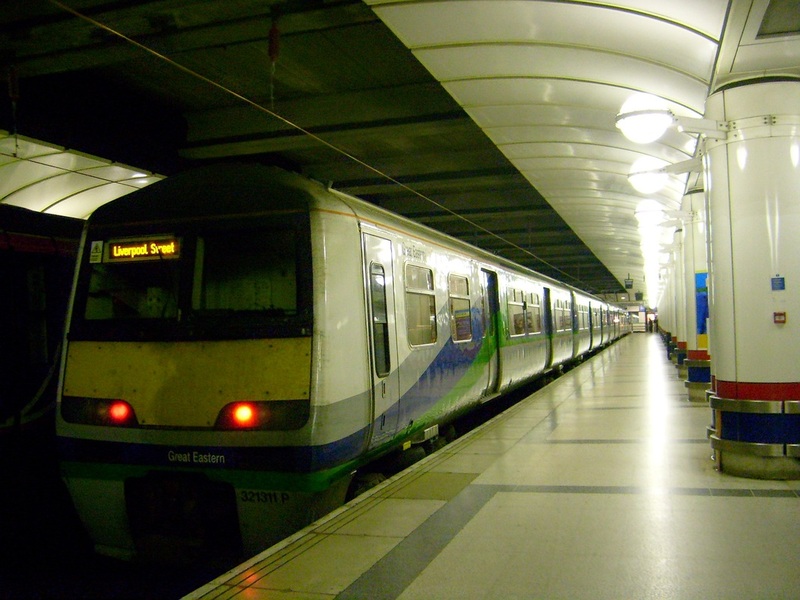 Class 321/4 cascaded/transferred from Silverink/London Midland, there are now ninety four Class 321 EMU trains. 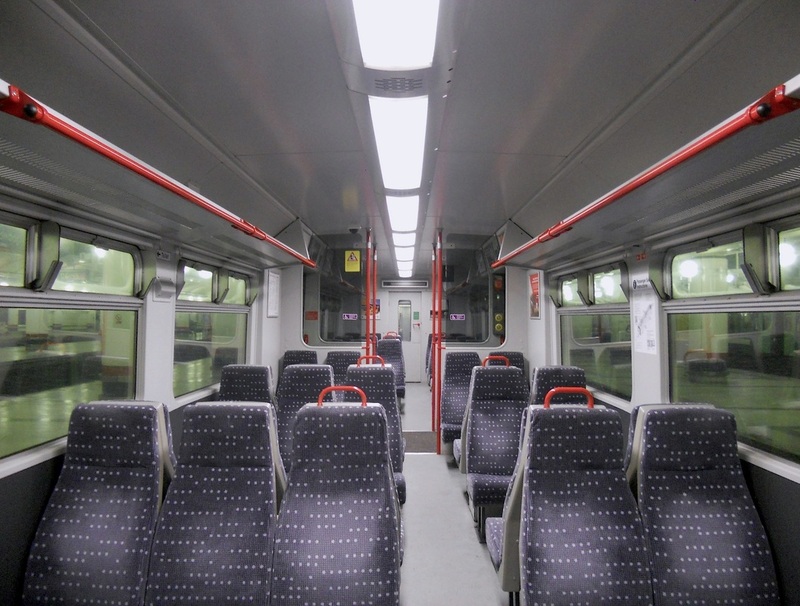 Greater Anglia Class 321/4 No. 321426 at Shenfield. (c) Peter Skuce. 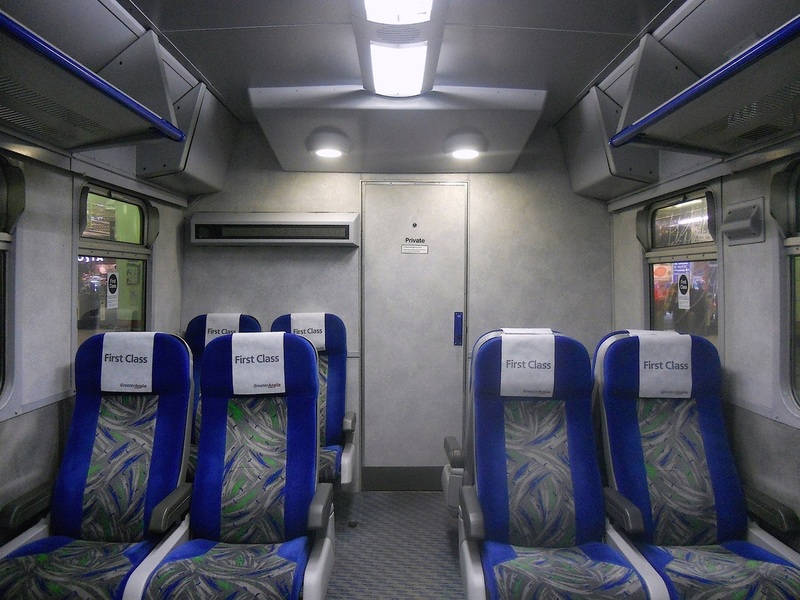 The interior of refreshed First Class cabin. (c) Peter Skuce. 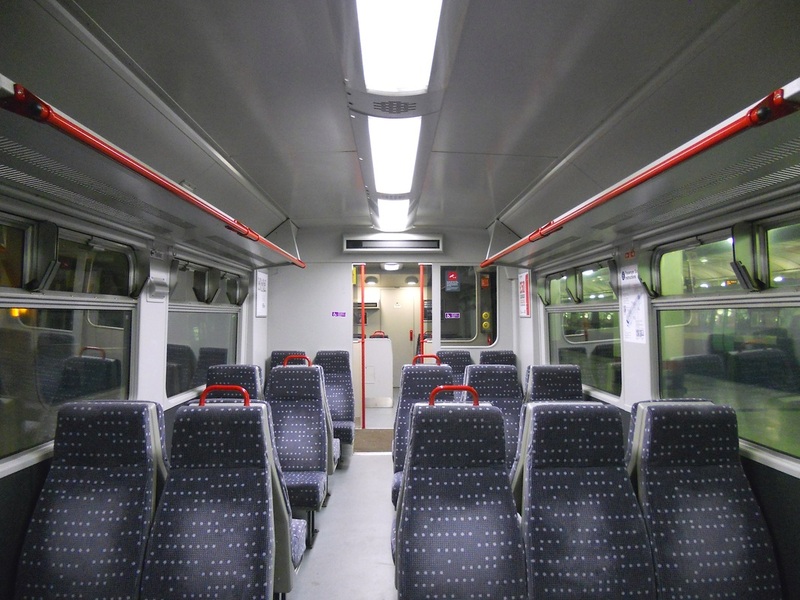 The interior of refreshed Standard Class accommodation in the TSO vehicle. (c) Peter Skuce. 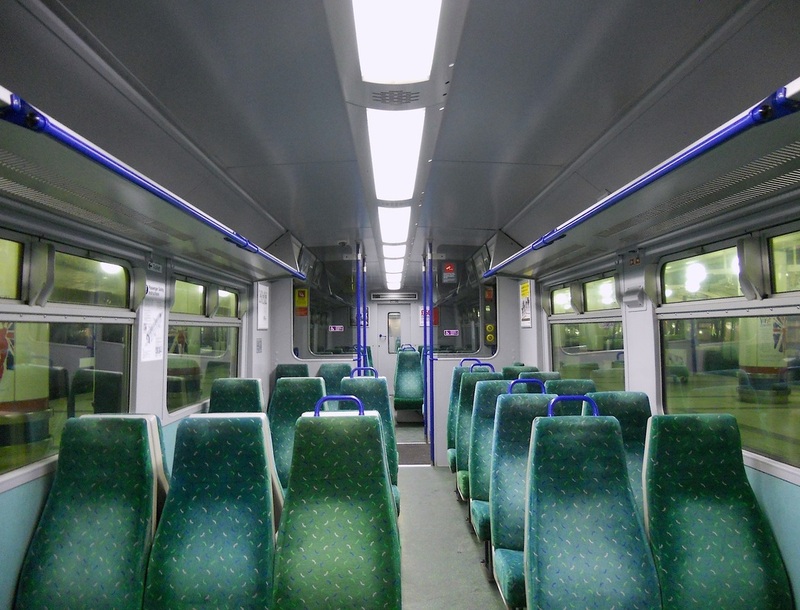 The interior of refreshed Standard Class accommodation in the DTSO vehicle. (c) Peter Skuce. There are thirty six Class 321/3 Great Eastern EMU trains (321301 - 321366) and they were built by BREL York 1988 - 1990. 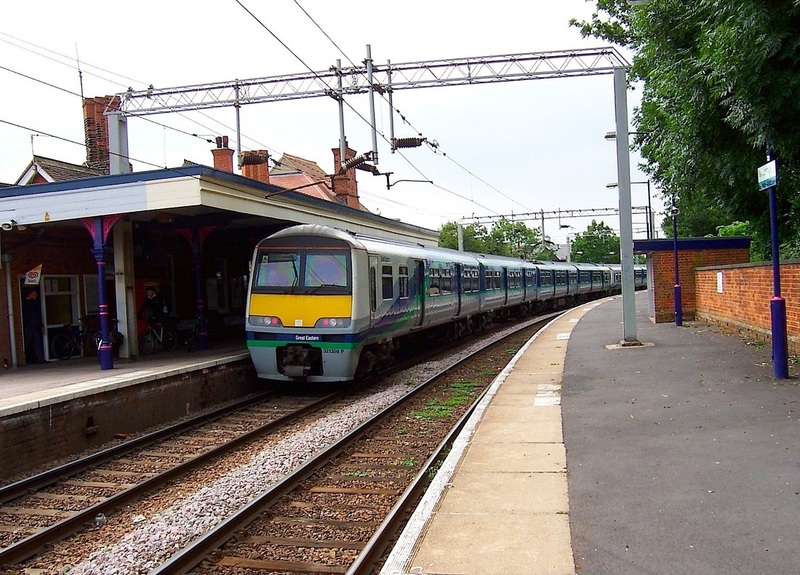 There are eleven Class 321/4 EMU trains (321438 - 321448) and they were built by BREL York 1989 - 1990. 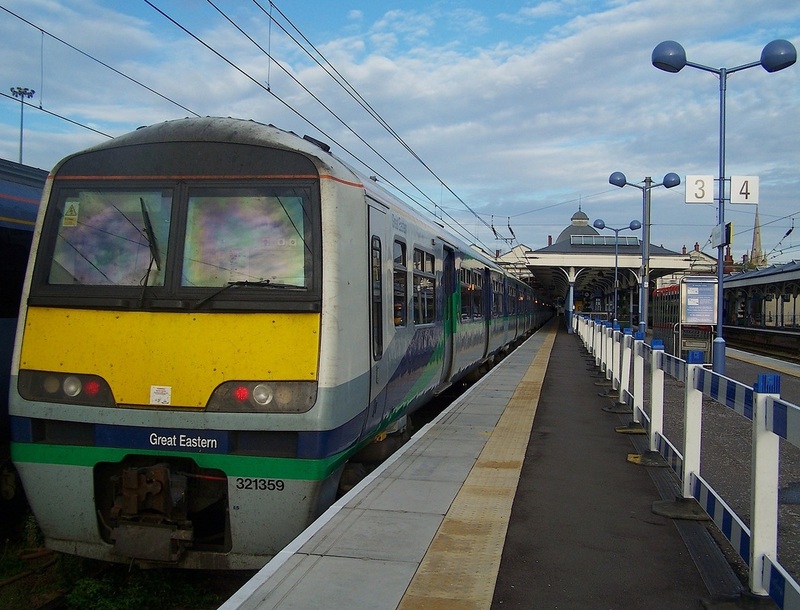 All were refurbished by First Great Eastern 1998 - 2004.
and were given an exterior relivery at Wabtec Doncaster Works and interior refresh at Clacton Depot. Class 321 are maintained at Ilford Depot. Each Class 321 EMU train is powered by four Brush TM2141C traction motors. Details of all franchises which had or currently incorporate 'Great Eastern Railway' services. Franchises which had or currently incorporate 'Great Eastern Railway' services.